Pastries and casseroles and quiche, “oh my!” is exactly what the mama-to-be will say when she sees the smorgasbord of food at her baby shower brunch! Brunches are amazing, period. How often do you get a chance to get together with friends and family for breakfast or lunch, let alone both at once? Normally, a gathering happens for dinner, and sometimes lunch. Sitting down together while feasting on delicious brunch foods, sipping on breakfast beverages can only mean one thing: A good time! Guests will enjoy themselves in the company of the expectant mother while knocking out two meals in one. Since brunches are typically right in between the time of breakfast and lunch, everyone will be able to skip breakfast (except for the mom-to-be, of course!) eat at the baby shower brunch, and be tied over through lunch time. 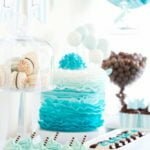 Not only is this a huge win for your guests, but it really opens up a menu to new, unusual baby shower food ideas! Juices: Mix with lemon-lime soda or ginger ale to make virgin breakfast spritzers. Hot tea and coffee: Hot beverages are a must since the shower will be earlier in the day; your guests will perk right up and be ready to play any game you throw at them! Pancakes/Waffles/French Toast: Pick one and make a bunch of them, because these tasty maple-topped entrees are a brunch favorite! Casseroles: Breakfast casseroles are easy to make and are delicious! One of my favorite morning casseroles is this broccoli egg bake! It’s super fast and super tasty. Make extra because the leftovers are amazing! Pastries: Breakfast pastries are a tasty, guilty pleasure to many! Consider honey buns, scones, and danishes. Fruit: Have a wide variety of fruits available: berries, melons, bananas, apples, and so on. Some women are really watching what they eat and refuse to cheat their diets even at a baby shower! How about whipping up a nice fruit salad? Quiche: Quiche is basically a brunch pie. It should be called brunch pie! It’s a yummy crust filled with egg and whatever else you wish to put in your quiche, typically some veggies, or if you’re anything like me, bacon! Breakfast potatoes: Whatever you do, do not forget a breakfast potato! Whether it is hash browns, home fries, or potato pancakes, everyone loves potatoes, and you likely will not have leftovers! 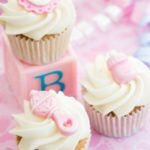 If you need more baby shower brunch ideas, how about I leave you with a sample menu? Feel free to use it as your own, it’s the perfect menu, after all! Whether you are creating a menu, or laying out all of the food buffet-style, make sure you give all of the dishes fun, theme-appropriate names. Also, be sure to list any allergens that may be present in the food, such as peanuts or vanilla. 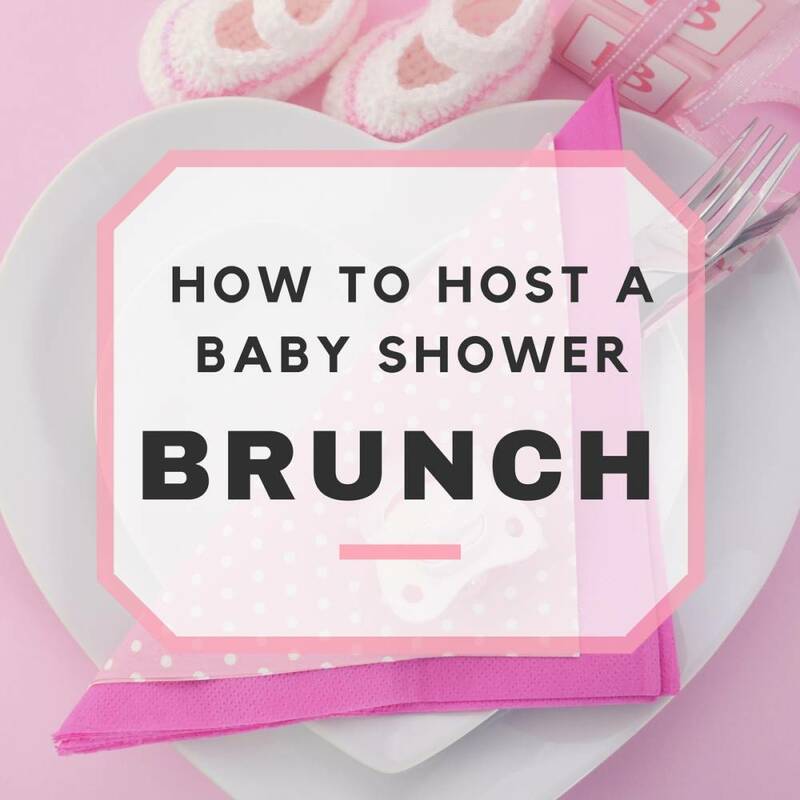 Serve up some brunch, and enjoy the baby shower!